IMPORTANT !!. 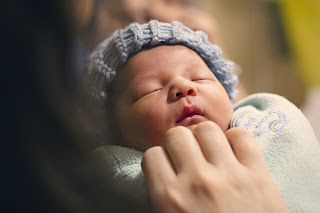 5 Preparation For The Birth Of First Child - Waiting for the birth of a beloved baby should be an exciting time for all new mothers around the world. The feeling of happiness mixed with anxiety is mixed together and this feeling is also mixed with the fulfillment of new prospective parents, especially if this is the birth of the first baby. For the sake of the birth of a baby, you must know what preparation is really a new mother needs to do. Here are 5 preparations for the birth of the first child. A few months before arrival, you and your partner should have prepared all the equipment needed for newborns & nursing mothers. You can start by arranging it inside in a closet, also preparing some of the clothes and baby gear in a special bag that you will carry during labor. So, at the time of delivery is faster than the doctor estimated, you just bring the special bag to the hospital. Hospitals & doctors should be prepared early on when you are pregnant. Obstetricians will usually determine the choice of the maternity hospital, because you will follow wherever the doctor recommends opening the practice. When you choose a hospital, there are things to watch for. For example, such as the number of labor costs later in the hospital until the facilities & services provided. If you plan to give birth using health insurance claims, then it is very important to find any hospital that provides health insurance on this one. You should also never forget to pay monthly insurance dues so as not to become an obstacle in administrative matters when the day of labor arrives. The new mother should have equipped herself with knowledge about breast milk from an early age. You can search a lot of information via the internet or can consult directly with pediatricians. At least, you understand about breastfeeding early, what to do if breastmilk was not fluent, how to pump breastmilk, how to store milk. Find also the nutritional information needed by breastfeeding mothers in order to produce a lot of milk. Waiting for the birth of the first child must also be balanced with the knowledge of caring for your newborn baby. At least, there is a knowledge that must be understood by the prospective parents, ranging from how to care for a baby umbilical cord, how to bathe the baby, clean up the dirt, how to burp the baby, how to cut nails. Not only moms, dad must also know it in order to help Mother care for the baby together. Husband standby is certainly very important during the process of waiting for the birth of the baby. Toward the day of birth, husbands must be ready if at any time his wife contracted. The presence of the husband will also be an additional strength for his wife. Starting from how to help to overcome her anxiety, to relieve his wife's contraction by rubbing his back or by compressing using a warm towel. Well, that's the first 5 preparations for the birth of the first child who must be noticed by the prospective parents who are currently waiting for the birth of his first baby. Hopefully, it can be a brief article to guide the Mother with her husband yes!